The Caves + Coed Pageant + Schwervon + The Author & The Illustrator / Sat. 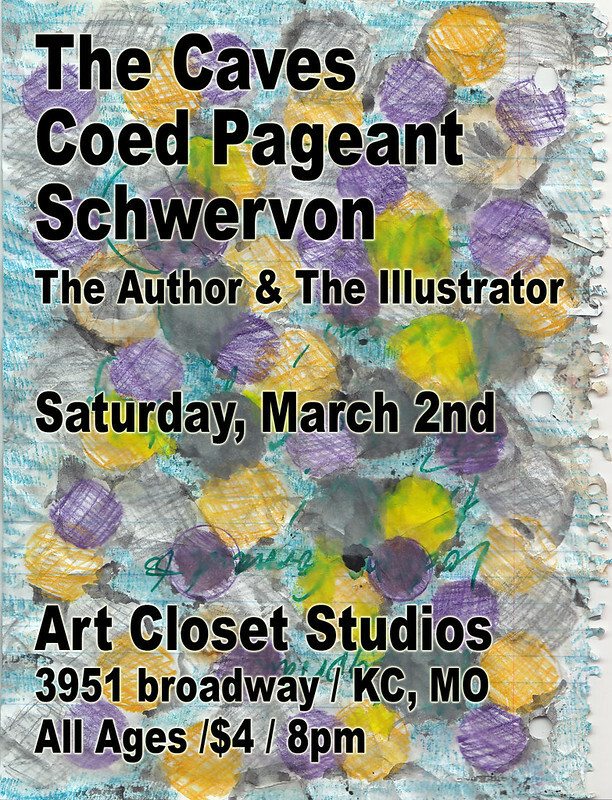 March 2nd @ Art Closet Studios / KCMO | Schwervon! This entry was posted in Uncategorized and tagged All Ages, Art Closet Space, Coed Pageant, Indie Rock, Kansas City, KCMO, Schwervon!, The Author & The Illustrator, The Caves. Bookmark the permalink.